Well it's official...on November 10th I will be competing in the Sandra Wickham Fall Classic 2012. I am pretty excited and feel 100% ready to compete. It's been 8 months since my last competition and I know it's going to be challenging but deep down if I don't do it, I will regret it. I had such a blast last year and met a lot of amazing people and now that I have settled into my new role and living with my man and living in a new city, I feel good. Making a decision like this involves a lot of people. The first person I had to consider was myself. Do I have enough time to commit to putting in the time I need to in order to place. Will I be able to balance my personal life, work life and training. Will I be able to find time to golf with Brett and enjoy the summer. The next person I had to consider was Brett. Brett and I have had many talks about my involvement with the competition world and he has always had my back 100%. We had a talk recently about it that helped lead to this decision and he said I should go for it. He also said I better come first this time...joking of course. It's so great to know that I have a partner who supports me no matter what. If my training does start to affect my work or more importantly my relationship I will have to determine how important it is for me but I have pretty good time management skills so I will deal with that if it comes down to it. My coach, Leigh Brandt, who helped me get on the stage at the Sandra Wickham last year will be coaching me again this year. I am happy to be apart of the Body By Brandt team again this time around. Leigh is an AMAZING (very deserving of all caps...) person/coach/friend/mentor. She is always there to listen and never rushes you off the phone and makes you feel like you are her only client and if you don't know her she is a busy lady. Leigh is an international cover model, personal trainer and entrepreneur. I've really enjoyed my time off and with Brett going back to school and working part-time I feel it is a good time to do this. We are very supportive of each other and he will be there cheering me on in November and I am happy to be documenting my journey once again. Blogging and putting my life out in the open, isn't something I ever thought I'd do and neither is competing but here I am. This blog as become an amazing outlet for me and I remember my first post. I was very nervouse about the reaction but people have been nothing but supportive and sending me note of encouragement or how I've inspired them. Those messages helped motivate me and push me to write about my journey. This time, I'll be including video blogs, weekly video/photo exercises and healthy food tips. I also started my own fitness page on Facebook, Nicole Wilson Fitness. Check it out and Like it! Prep starts in two weeks people. Stay tuned. Thank you to everyone who has supported me so far and here is to another year and my journey to getting my Pro Card at Nationals in 2013. There ain't no quick fixes honey. The scale and I reunited today for my 1 month weigh in. To date I have dropped 6 inches (2 in the bubbies which I'm not thrilled about) and 5 pounds. I am currently sitting at 140 and I would like to be 135. This is my new goal for the next month. Five pounds is a good start and I think most of that had to do with my meal plan for the last month. I had been prepping food and eating smaller portions through out the day and making sure that I was consuming more proteins with each meal. I know I should be happy about dropping the inches that I did but my pants are still a lil on the tight side and I only dropped half and inches around my thighs. I could be discouraged or I can make a plan and continue working hard at my goals. Success doesn't happen over night. 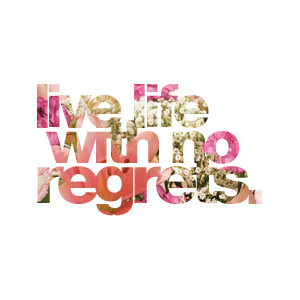 Going forward I am going to remain positive and if I don't the stress will get to me and will cause me to go backwards. My new workout regime includes lower weights and higher reps. Before I was doing quite heavy workouts and they were taking me a long time to get through because I tried doing too much all at once. This was not only time consuming but I would be really tired every morning from the previous days workout. I have realized I can only do so much and want to keep my workouts short. I feel if I can do my workouts in an hour or hour and a half including stretching, warm up and cool down that I will be more successful in the long run. The stress of my pants not fitting was really taking a toll on me and I'm sure some of you can relate. I feel so good on the inside sometimes that I just want that to reflect on the outside. Last weekend when I was in Langley with my boyfriend and his family for a reunion I broke down in the car and started crying and telling him how bad I felt about myself and that I was mad my pants didn't fit and that I workout so hard and eat well and don't see results. He is definitely my rock and very supportive of all my crazy ideas and knows I hold I high standard for myself but made a very good point. Brett said that I can't always be focused on my weight and let it take over all the good moments in life or I will end up missing out. We had just had a wonderful weekend with his family and all I was upset about was my pants. He said do you think that everyone else was thinking about fitting into their pants or enjoying the company of the people around them. It's not everyday an entire family from the East Coast to the West Coast of Canada can come together and celebrate. It was the first time I had met a lot of his family and he said that they thought I fit in so nicely with the family and made me feel welcome. They thought a lot of nice things about me and to be sad and upset at myself after such a great weekend seemed silly. He said, you have been working hard and I think you look great and like you've said before, there is not quick fix. Life goes by too quickly not to appreciate these moments in life with your family. He was right! I am so focused on my weight that I could be missing out on things and I should really just stick to my plan and give it some time and I will see the results I want. It will just take some time. Of course when someone that loves you tells you these things you wish they would just understand and hear what you are saying but they are listening and giving you the truth. Life is too short to worry about the little things. Exercise and eat in moderation and enjoy life! What Brett said really sat with me and I shouldn't spend so much time stressing about my weight but enjoying all the things I do have and keep working at what I want and in time it will happen. I feel good on the inside and super happy. Life is good right now and I should appreciate everything I am blessed with and have worked hard for and who knows, maybe I will compete again. Soon. Just saying, maybe there is another competition in my furture. I wouldn't mind another trophy. BC's are next June which leaves me 11 months to train and put on some muscle and really tone my body. As for now, its Saturday and sunny. The golf course is a calling. Get outside and enjoy the sun. My journey with fitness. 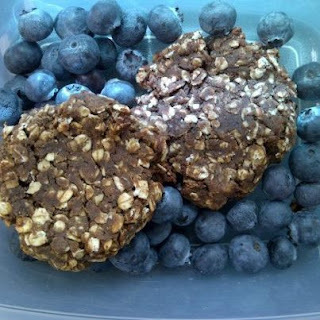 : Chocolate Protein Oatmeal Cookies. Yum! Chocolate Protein Oatmeal Cookies. Yum! Last night I had a little time to myself after the gym and an awesome burger. It's not what you think. Of course I wanted a bun but I opted for a lettuce wrap chicken breast and it was delicious. That is apart of the journey is making small healthy choices day by day. Meal by meal. #eatclean right?! The thing I realized when debating the bun decision of 2012. To eat or not to eat. I thought about all the hard work and time I had been putting into my body to feel better and eating a juicy burger would only have temporary satisfaction. If I take care and put thought into each mean and each workout, the results will last forever! The forever is totally worth it! A moment on the lips of forever on the hips. Anyways, I am a dessert or treat kind of girl and I have been doing really well lately that I wanted to make a healthy batch of protein cookies and I just bought this awesome Chocolate Protein (Vega Sport, Performance protein but I'm sure any kind would do). Here is what I tossed together, literally. You can add nuts or raisins if you like. Mix them up and then use an ice cream scoop to form balls and press down on a pan and put them in the oven. 325 F for 15 - 20 minutes. I had two for a snack and a litre of water and boy they filled me up. I had these with a 1/2 cup of blueberries. Great snack option! A girls got to have a lil chocolate every once in a while. I also deserved a little reward after the last month. I have been working very hard towards my goal of breaking 140 and keeping my scale hidden. Have you?! I am going to weigh myself tomorrow to see where I am at. The last month has gone well and I am getting into more of a routine with my food and going to the gym and have notice results which has been really motivating because I was in a real rut for a while. Lately I have been lifting more so inches at the end of the day are more important that the lb's but both would be a win-win. I will have to compare my inches and weight and give you an update soon. It's off to bed for this one. I hope you enjoy the recipe. Let me know what you think!